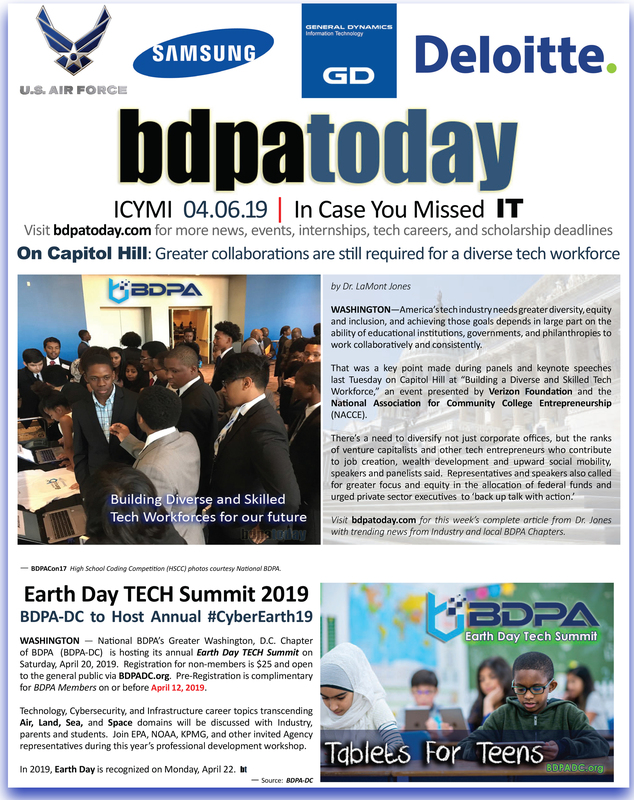 WASHINGTON (bdpatoday)—National BDPA’s (NBDPA) Washington, D.C. Chapter (BDPA-DC) will celebrate several milestones during this year’s annual technology and community service awards banquet. 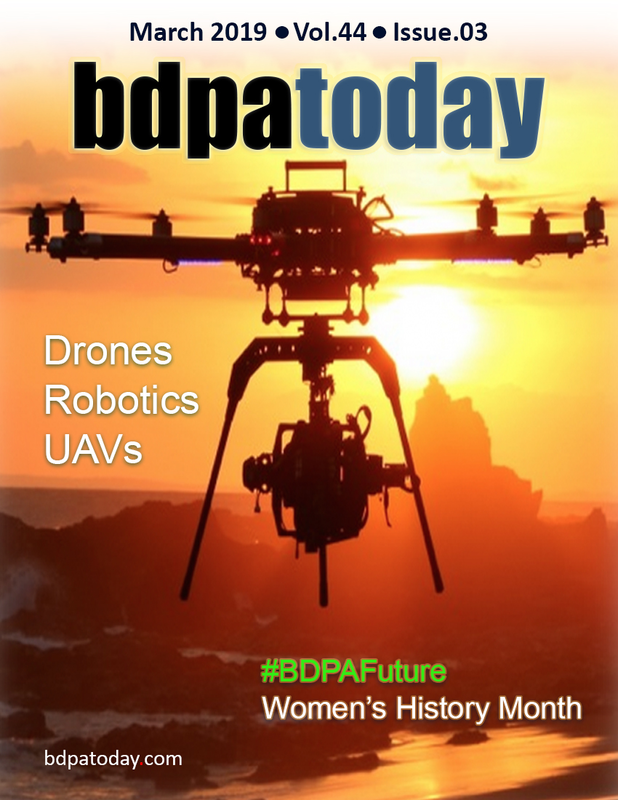 Chartered in 1978 to introduce underserved communities to “data processing”, computer sciences, or help bridge digital divides between industry, academia, and government, BDPA-DC also celebrates its 38th Anniversary in 2016. 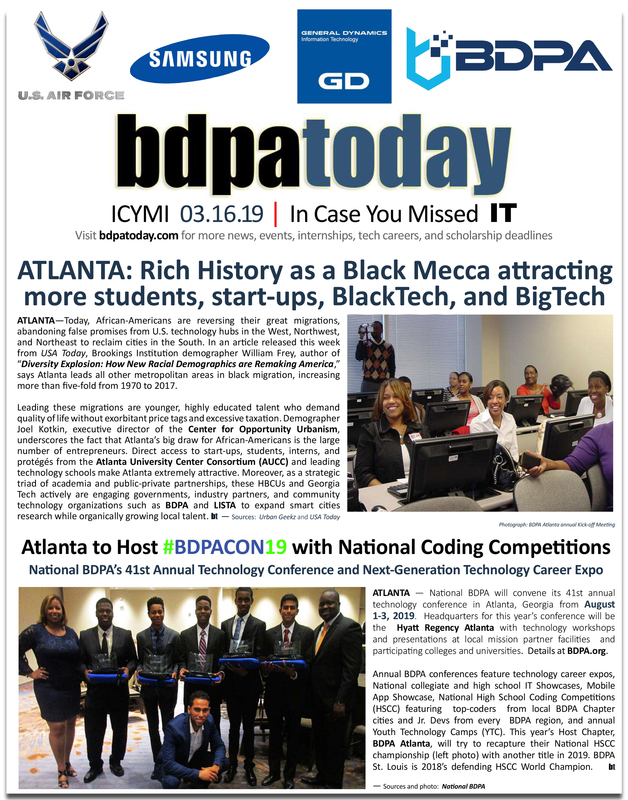 The National BDPA High School Computer Competition (HSCC) was founded in 1986 by Dr. Jesse L. Bemley, a National BDPA Life Member from Washington, D.C. What started as a two-team event between Washington, D.C. (BDPA-DC) and Atlanta, GA (BDPA Atlanta) HSCC Teams has grown to over 25 teams of students from various high schools in BDPA Chapter cities throughout the nation. 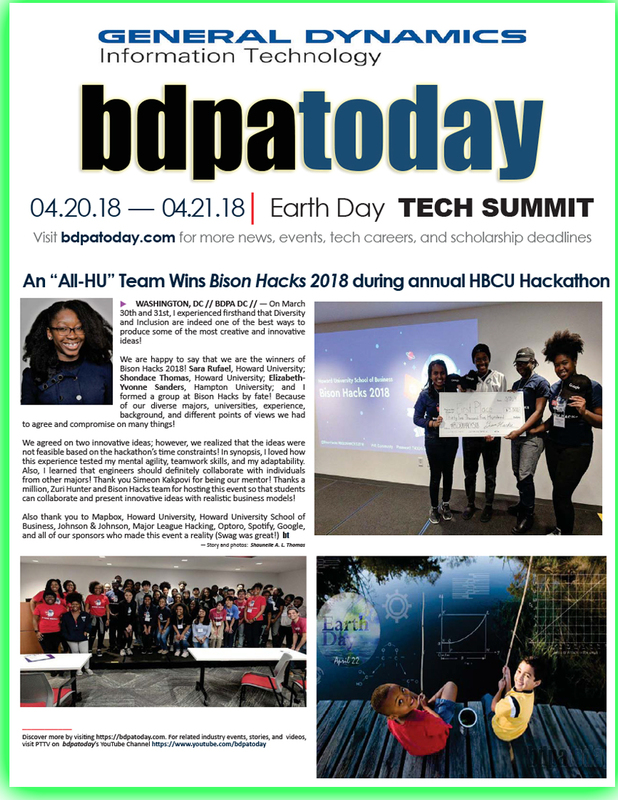 HSCC was designed to introduce Student Members to the field of data processing careers, now Information Communication and Technology (ICT), to encourage students to seek higher levels of training, certification, education, and groom them to become our nation’s next generation of ICT leaders and technical professionals. 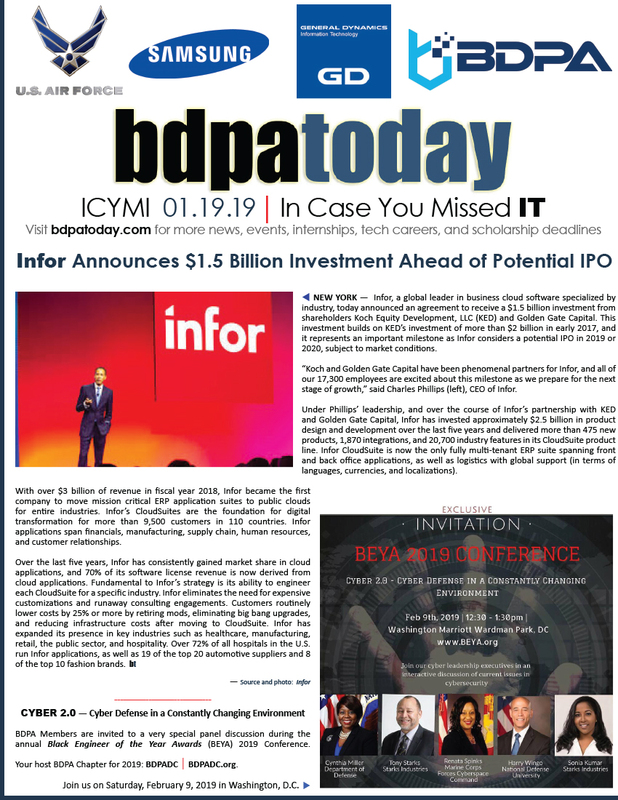 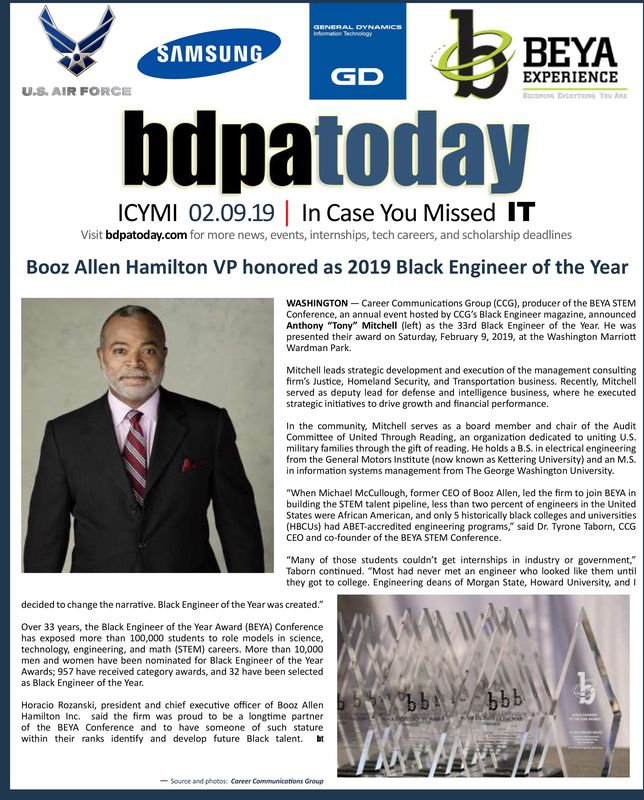 BDPA-DC’s Communications Committee also reaches a new milestone this year with their serial publication, bdpatoday (ISSN 1946-1429), entering its tenth season. 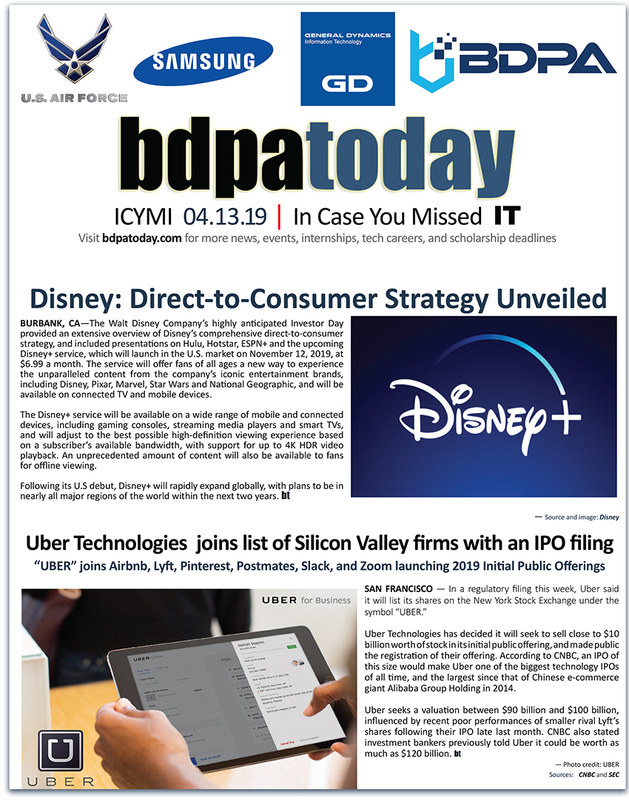 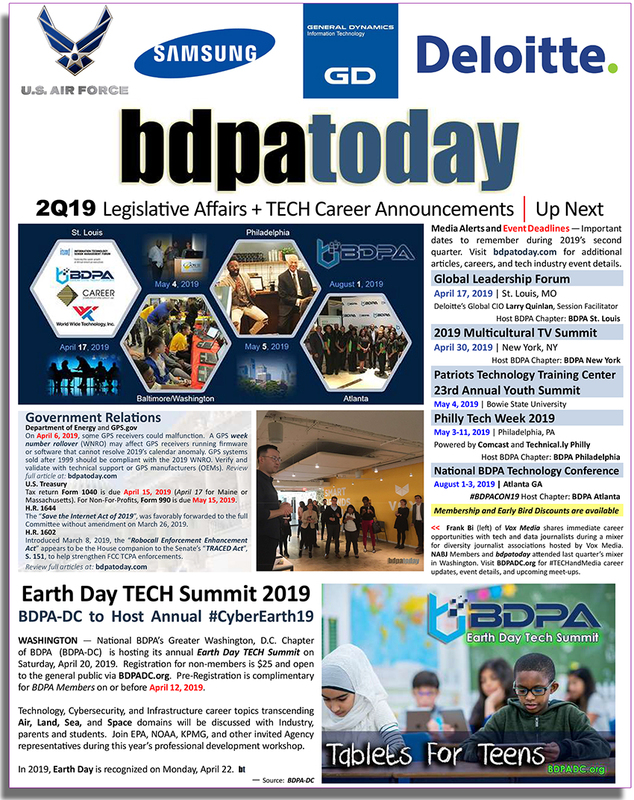 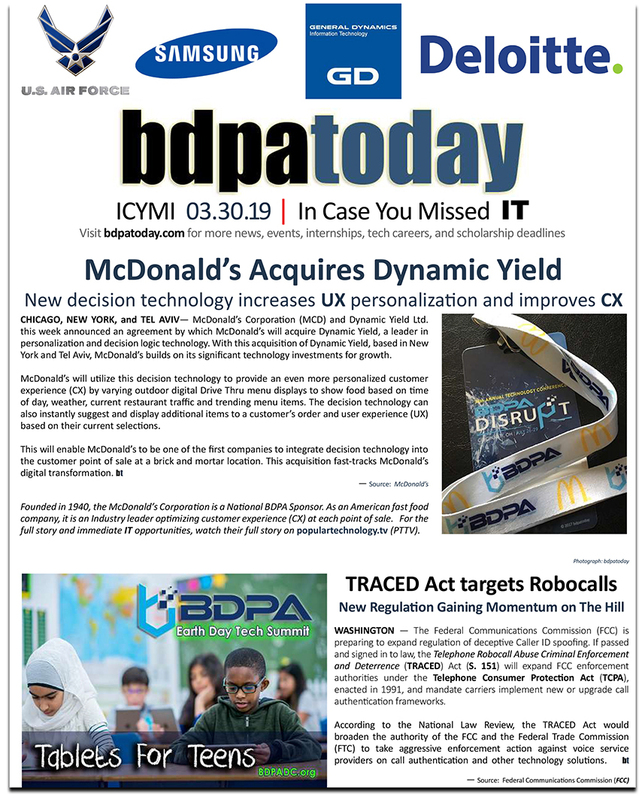 The first edition of bdpatoday was published in May of 2007 to promote information technology and cyber success stories through the lenses of underserved communities in advance of the annual National BDPA Technology Conference co-hosted in Washington D.C. that year. 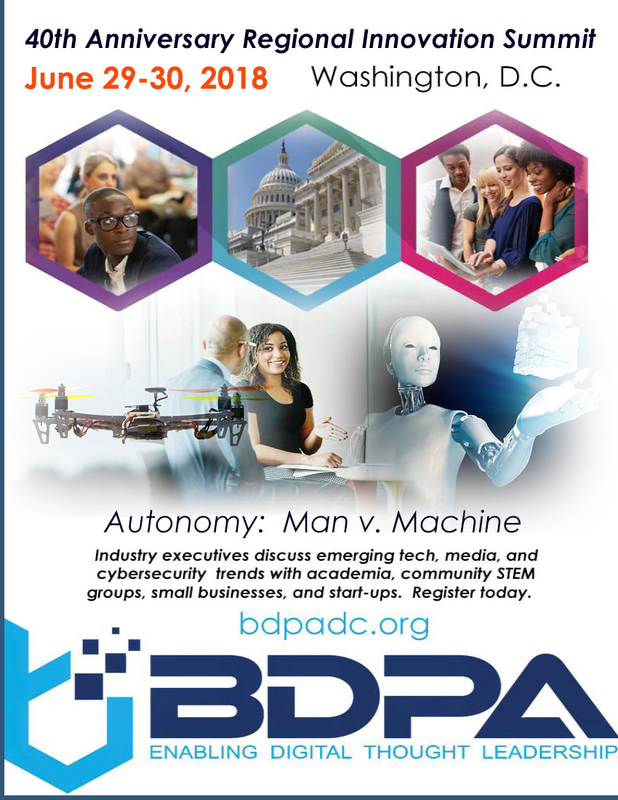 BDPA-DC’s 2016 Technology and Community Service Award recipients will be honored on Saturday, November 19, 2016, at the Washington Navy Yard Conference Center from 6:00 pm to 8:00 pm. 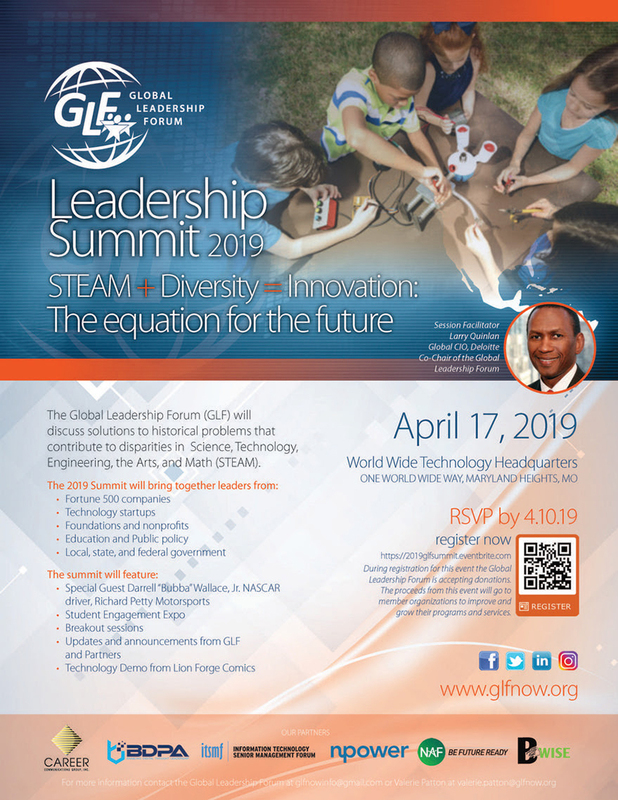 This year’s Award Categories for the National Capital Region follow. 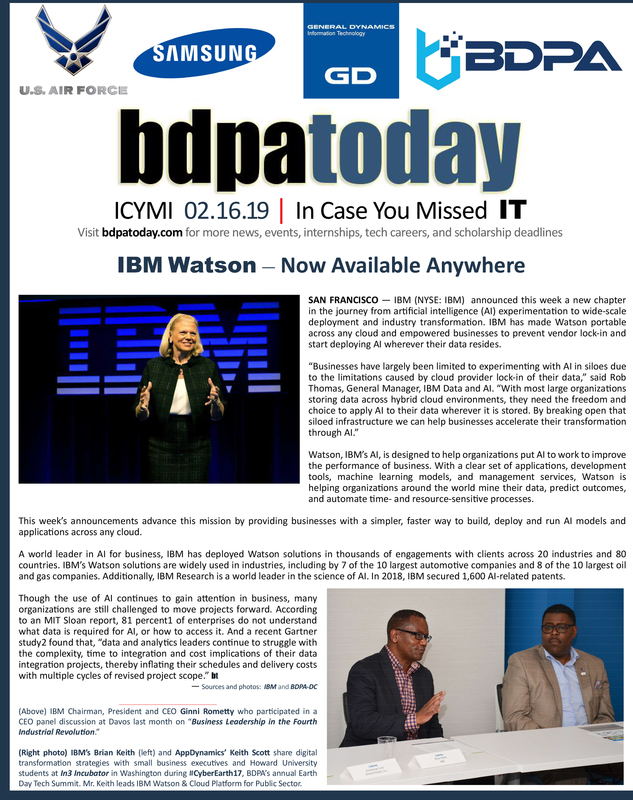 Top cover photo: (L-R) Terry Halvorsen (DoD); Aaron Saunders (Clearly Innovative, Inc.); Thurman Jones (Patriots Technology Training Center); Louis Shack (HSCC); Raymond Bell Jr.; Michael Smith; David Reid, and Dean Cook [not pictured] (H.O.P.E. 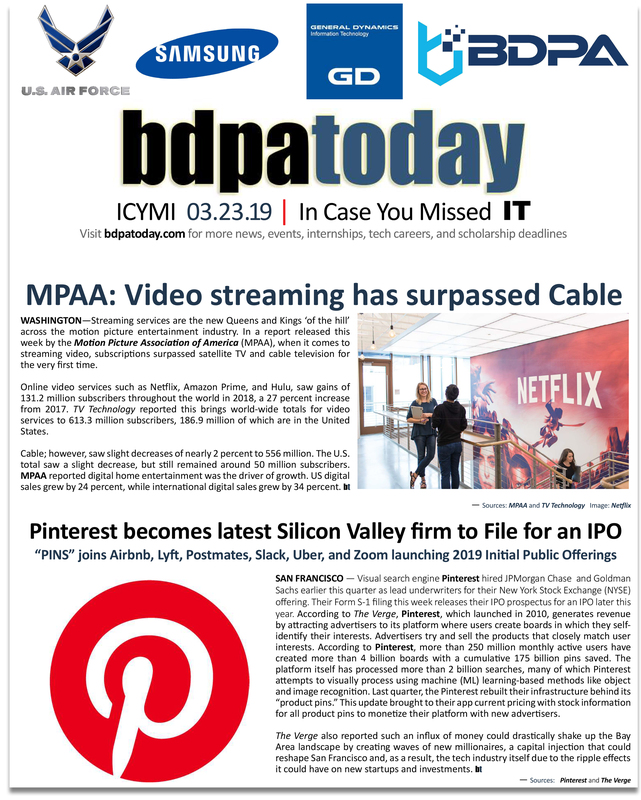 Project DMV).